with a champagne toast and a birthday serenade. 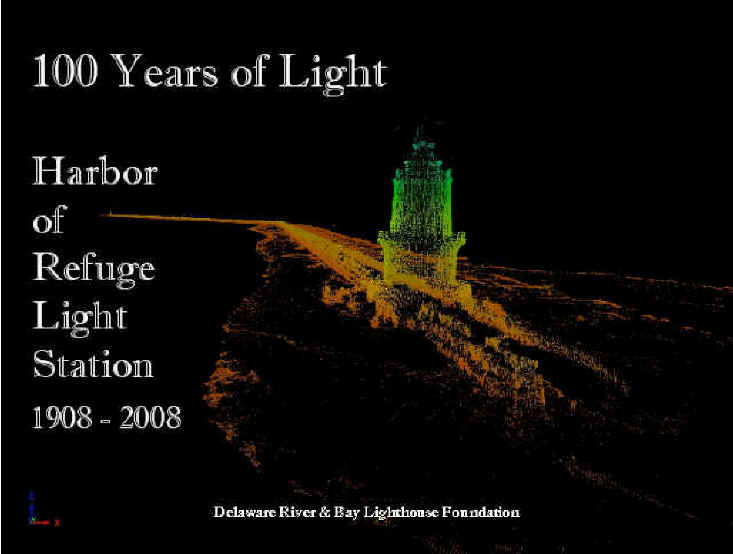 LEWES, DE – Celebrating the 100th anniversary of the lighting of the first Harbor of Refuge Lighthouse, the Delaware River and Bay Lighthouse Foundation will turn this year’s annual Sunset Photo Cruise into a birthday salute to the century old aid to navigation. Although the actual anniversary isn’t until November 20, the celebratory cruise will take place on Sunday, June 22, from 6:30 to 8:30 pm. At 7:30 pm, the three vessels chartered by the Foundation for the trip will rendezvous at Harbor of Refuge Lighthouse, raise a champagne toast, and sing Happy Birthday to the 100-year-old light station. Area boaters are invited to sail their own craft to the lighthouse at the same time and join in the singing and toasting. Resident dolphins have been asked to perform, but their appearance is always happenstance. The evening will also include photo opportunities around Delaware Breakwater East End Lighthouse, the Sussex coastline, and – with just a little luck – a magnificent sunset. Members of the Foundation Board will be on hand to provide information and answer questions about the lighthouses, the Foundation’s restoration work, and the U.S. Army Corps of Engineers’ plans to repair the deteriorating Harbor of Refuge Breakwater Wall. To make reservations on the Cruise boat, call the Foundation at 302-644-7046.